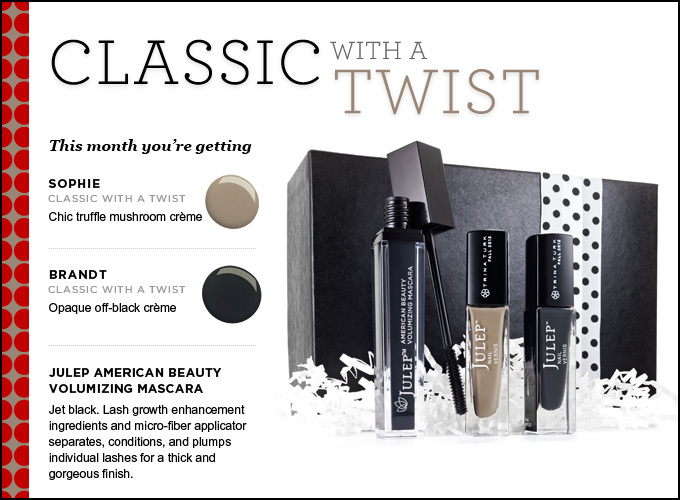 Looks like Julep Maven September Sneak Peek came earlier than anticipated, which is a totally awesome thing in my books. I was browsing around on the computer at work when I came across this blog post from Living Lovely. So this month, Julep is collaborating with fashion brand Trina Turk to bring us these September colors. I've never heard of her before, but from viewing their website this designer uses a lot of bold colors and prints. She does everything from fashion to bedding. 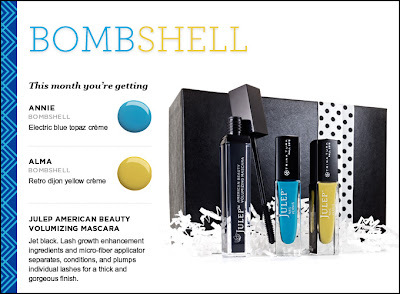 As some of you may know, Julep also introduced suede polishes that are currently available in Sephora (in the US). Since many of us speculated that they may be in our September box, this preview put that rumor to rest. 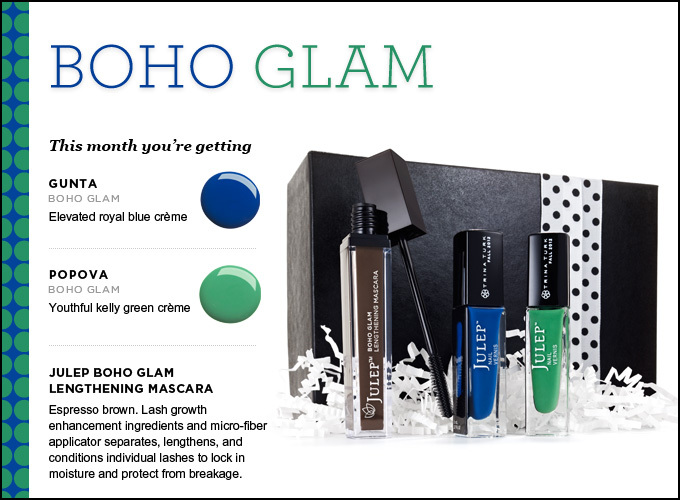 I guess we will possibly see them in our October Julep Maven boxes. 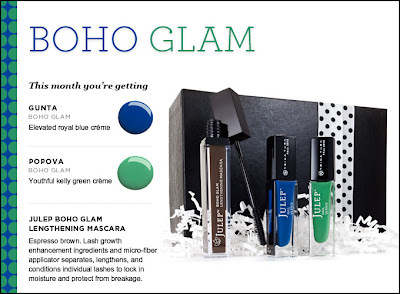 As you can tell the featured product, aside from their colors, are mascaras. 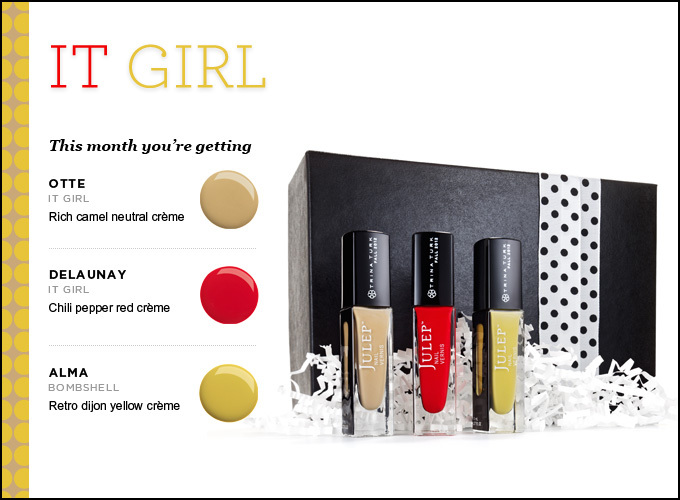 I love how Julep is expanding their beauty line! The brown mascara is for lengthening and the black mascara is for volumizing. I usually just stick with black. So these are colors available to us in September. Which one are you most excited for? The value of the mascaras are $24 and that alone pays for the box. 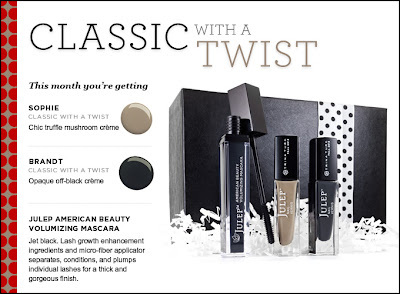 Again, Julep is allowing you to choose 3 add-ons instead of the usual 2 for ($4.99 per nail polish, or $9.99 per mascara). They also introduced a unique opportunity for you to buy the complete collection for $30. If you are in love with this "nail wardrobe", have the money to splurge and don't have the patience to wait around the golden box, this may be the opportunity for you! I must say, some of the name are a lot more unique this month. Otte, Delaunay, Hoch. Gunta? I wonder what the significances are. I can't really think of women with those names and usually colors are named after celebrity women. I am so happy that they are creme base, I can't say enough how much I love their creme polishes! I'm eying It Girl like always and I also want to get a skin color polish so I can do some "people art". I really want to do a One Direction Nail Art. I have an idea of how I want to approach it, but I just need to find the time for it. My second box might be Classic With a Twist, just because I don't have that Truffle mushroom color. I have all the colors of the rainbow, now I just need to build on my neutrals. Anyways, which one do you think you're going to get? Simply complete the style quiz and use the code PENNY upon checkout to reduce the price from $19.99 to $0.01. 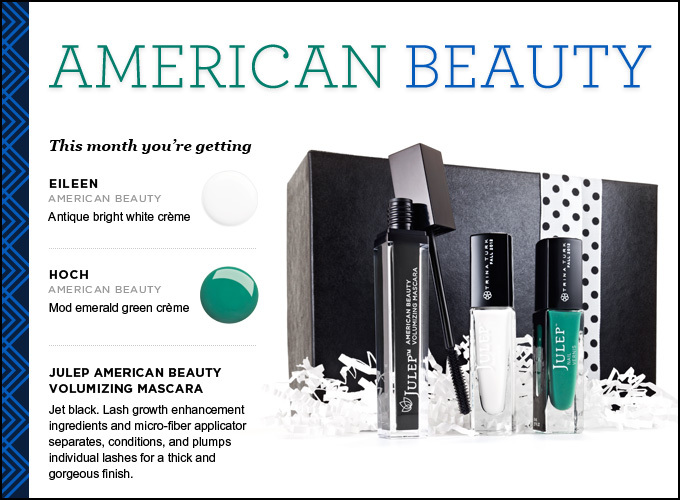 I like the look of American beauty and Classic with a Twist.. I don't know if I love any of them though I may skip... though the mascara is interesting I'm interested in seeing if it is any good! Oh I am going to love my box. I'm Classic with a Twist. Thanks for posting.. I can't wait! sigh i was hoping for the suede colors. after reading your blog i think i'm offically a nail polsh junkie.